1. 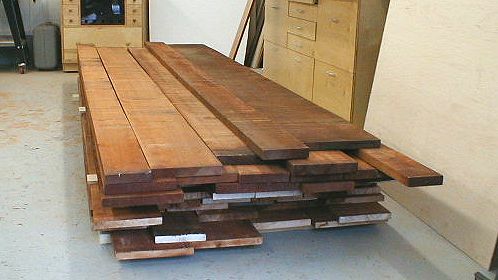 Stack of Mahogany. 170 BF 5/4 and 260 BF of 4/4. My first lumber acquisition. The lumber pricing worked out that I got a nice price break if I purchased over 400BF. 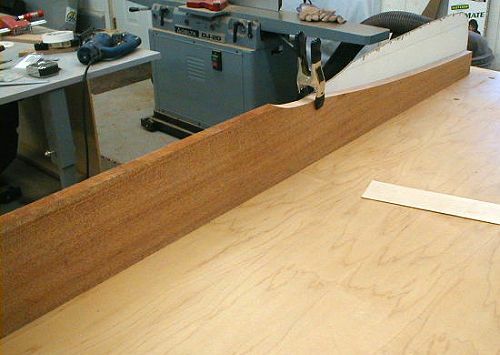 It is not necessary to use all Mahogany for the frames and stringers - but I certainly looks great. I did not have to purchase additional boards for the project and I have some left over. 2. 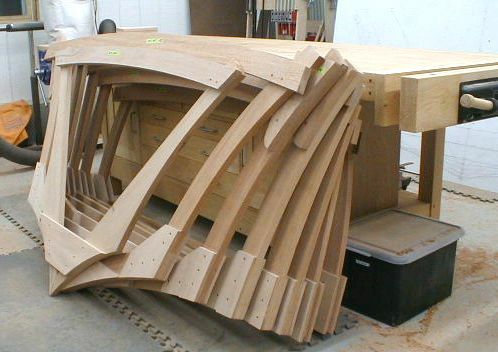 Once I got a system going, all of the frame components started going together really quickly. 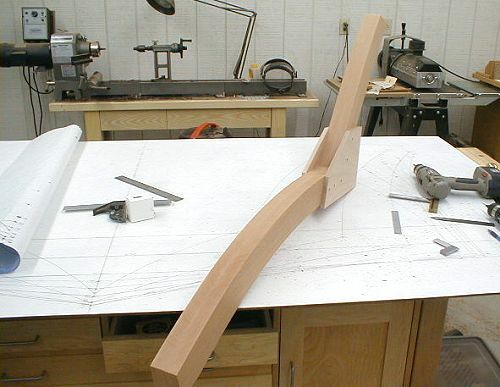 I'd start by making a section of a frame and fairing, shaping and compare it to the pattern on the drawing board. 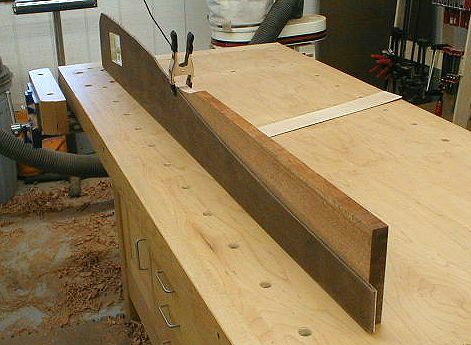 Once I was satisfied with the work, I would double stick tape a matching piece of wood, trim it close with the bandsaw and then use a pattern bit on the router table to make an exact duplicate of the original. Now I know both sides of the hull should be the same. 3. 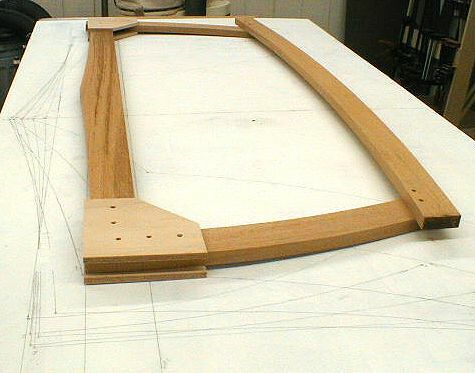 On frame bottoms - I wanted to make sure the left and right sides were the same too. I devised a method where would create the final curve on one half of the frame, then copy the curve to a Masonite template. 4. Then I flip the Masonite and use the router to make the other side of the same frame. I get a reusable template out of it too. 5. 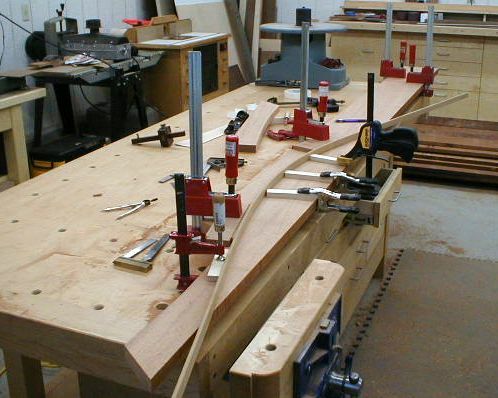 Here I am using a batten and a few clams to help keep it aligned to get a fair curve on a section of frame stock. 6. I gusseted the frame halves while they were still stuck together. This made sure that I got the angles exact on either side of the centerline. Once separated, I completed the inside gusset. 7. My First frame - this one took a long time to check and cross check and second guess. 8. The Second frame went a lot faster. 9. Here are all 8 frames stacked in order - once you get a system of assembly working, it goes fast. 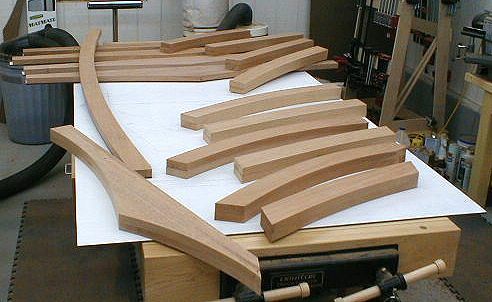 They all still need final triming at gussets and deck beams. 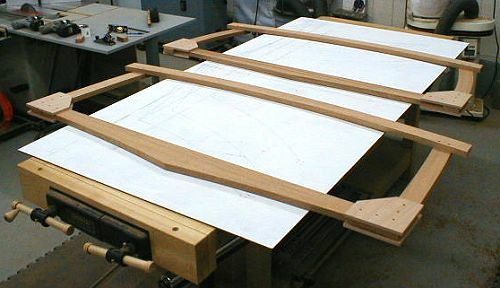 Then notch for chines and sheer clamps. 10. 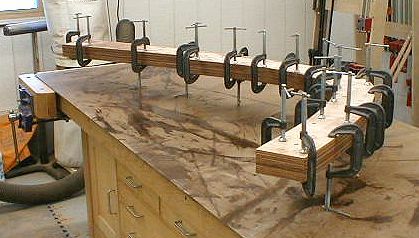 Here are all my "C" clamps laminating the 3 layers of the stem.